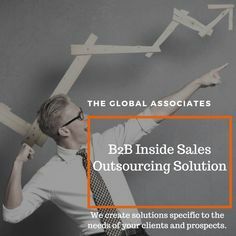 The Global Associates Appointment Setting Services in India shoulder the responsibility of helping their clients come face to face with the desired decision makers to enable them to present their case in person. Today’s changed business environment demands that appointment setting services in India formulate innovative strategies and embrace new tools and technologies in order to effectively achieve this objective. The approach you adopt goes a long way in determining your success rate in getting the appointments; over-aggressive approach usually doesn’t work in the present scenario. You can win or lose during the first few seconds of your appointment setting call; having some secrets of the trade under your belt could prove to be very helpful. The article shares some of these secrets with you. A thorough research about the issues and requirements of the organization before approaching the decision maker ensures better results for appointment setting services in India. These executives are extremely busy people, they will spare their valuable time only for some valid reason. Your research will help you convince them about meeting your client as you will focus on their needs and pain points, and the possible solutions. They will agree to grant an audience if convinced about your capabilities and good intent. Don’t act as an outright sales person interested only in selling your product, present yourself as a problem solver with an intent of helping the customer. Provide something valuable, something worth their time to build credibility and make them think about finding a time slot for you. Offer something compelling and you might succeed in convincing them to give an appointment. Adopting An inflexible, rigid approach is never good for the prospects of appointment setting services in India. You cannot request for an appointment on your own terms and conditions; customer’s will and convenience matter the most. If they suggest a day and time for the meeting, you have to accept it at any cost. Similarly, readily accept the mode of meeting that suits them. Go along and get the required appointment on their terms and convenience. Don’t feel disheartened if they are not consenting for an appointment, use a different approach next time. Appointment setting services in India perform a tough job, knowing the above mentioned secrets of the trade can certainly help them achieve better results. One must be ready to do a thorough research about the prospect before making a call, act as a problem solver instead of acting like a typical sales person and adopt a flexible approach to be more successful in getting appointments from the desired decision makers.